The Fight To End Cancer proudly announces their Official 2014 Fight Team. 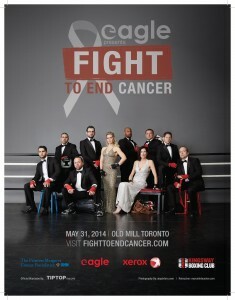 Hanging up their suits and lacing up their boots all in the name of a good cause, was the decision that each member of Eagle’s Fight To End Cancer 2014 Fight Team made when they volunteered to step into a boxing ring. These ten “white-collar” men and women, with no prior boxing experience, will be literally fighting to end cancer at our third annual black-tie gala in support of Princess Margaret Cancer Foundation on Saturday, May 31, 2014. 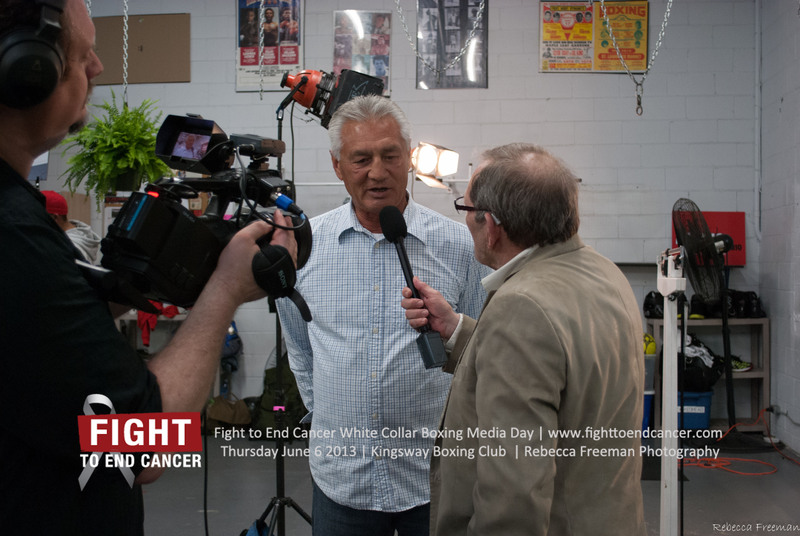 Through the involvement of business professionals, like the members of our Fight To End Cancer Fight Team, and the companies they represent; the sport of boxing is finding a new lease on life headlining fundraising events. 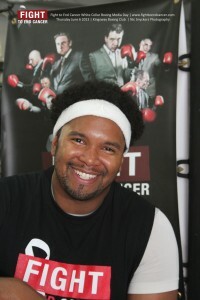 With so many different fundraisers currently saturating the market; boxing is a welcomed change from the status quo and has been enthusiastically embraced by corporate culture as a powerful, fun and inspirational way to raise money and help in the fight to find a cure. The Fight To End Cancer has seen tremendous support and interest from companies since its inception and now, as we approach our third year, we have the privilege of announcing Eagle Professional Resources as our presenting title sponsor for 2014’s event. Boxing is stepping back into the spotlight as a popular sporting experience, thanks in large part to charity boxing fundraisers like the Fight To End Cancer. Through financial support and physical participation from the business community, the great sport of boxing has entered a renaissance period – as a champion in philanthropy.